The ISC provides full access to data within the ISC Bulletin. Data include hypocentre locations, phase data, amplitude measurements, focal mechanism solutions, etc. Please use one of the search pages. 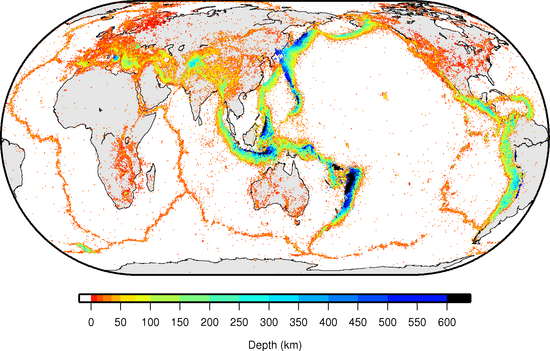 The ISC also hosts the International Registry of Seismograph Stations (IR), the IASPEI Ground Truth reference events (GT) and the EHB Bulletin. Use of data from the ISC should always be cited. Please check our citation page for more information. Data centres and seismological agencies are encouraged to provide their data to the ISC according to the contribution schedule. We collect all earthquake parametric data, including phase readings, hypocentre locations, focal mechanism solutions, etc. The ISC encourages its users to check for missing references/event links in the Event Bibliography. Use our search for checking the availability of specific papers and notify us with missing references/event links via the submission page. Learn more about the Event Bibliography here.